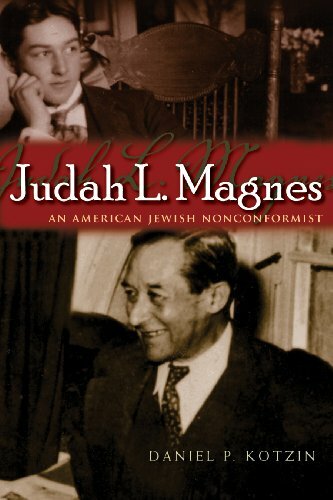 Rabbi Judah Magnes (1877-1948) was a prominent and influential American Reform rabbi from Oakland, California. He was one of the founders of Hebrew University and served as its first Chancellor when it opened in Jerusalem in 1925. Rabbi Magnes was a Zionist but didn’t support the idea of linking Judaism and nationalism, instead advocating a binational Jewish-Arab state. He was determined to use the university to promote equal rights and relations between Jews and Arabs.